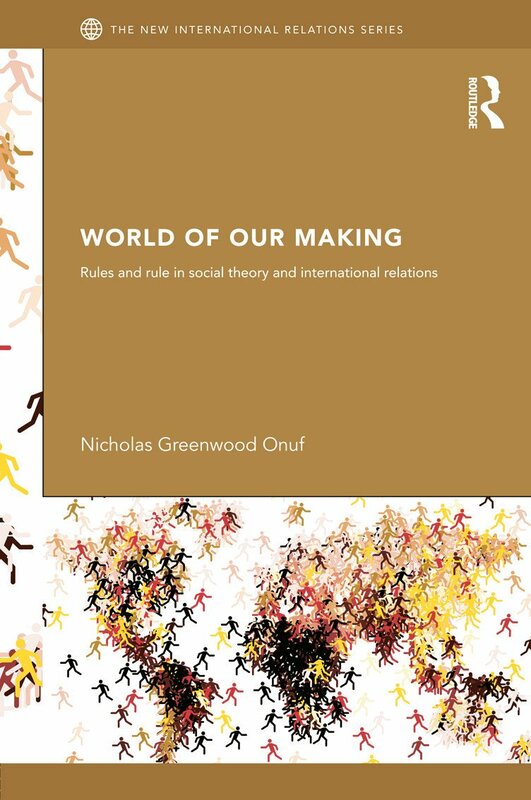 World of our Making is a major contribution to contemporary social science. Now reissued in this volume, Onuf’s seminal text is key reading for anyone who wishes to study modern international relations. Onuf understands all of international relations to be a matter of rules and rule in foreign behaviour. The author draws together the rules of international relations, explains their source, and elaborates on their implications through a vast array of interdisciplinary thinkers such as Kenneth Arrow, J.L. Austin, Max Black, Michael Foucault, Anthony Giddens, Jurgen Habermas, Lawrence Kohlberg, Harold Lasswell, Talcott Parsons, Jean Piaget, J.G.A. Pocock, John Roemer, John Scarle and Sheldon Wolin.